PAUL BISHOP ~ WRITER: PULP NOW: TEEL JAMES GLENN! PULP NOW: TEEL JAMES GLENN! 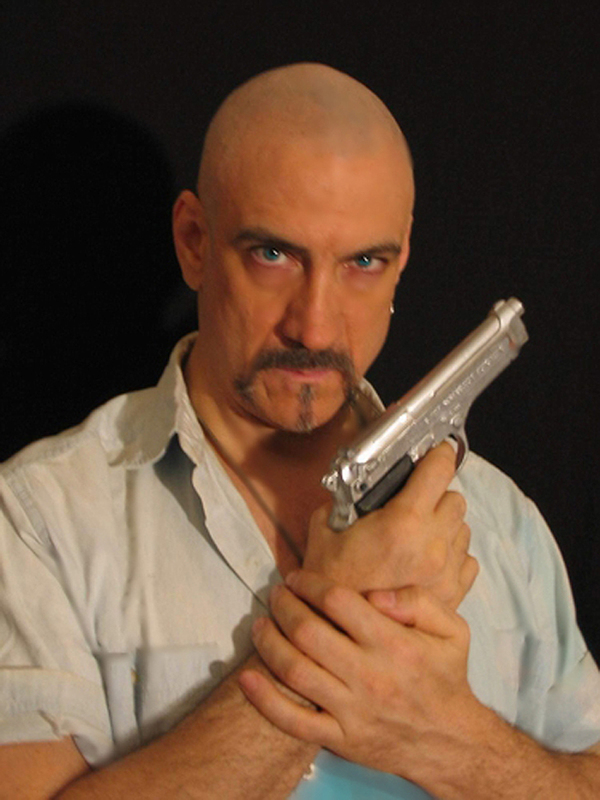 Teel James Glenn was born in Brooklyn though he’s traveled the world for thirty years as a stuntman, fight choreographer, swordmaster, jouster, book illustrator, storyteller, bodyguard, and actor. He studied under the head of the Seoul Military Academy and Errol Flynn’s last stunt double. He has choreographed realistic violence for every Shakespeare play at least once, many several times and literally hundreds of different productions. All of this life experience informs his writing; he has 25 books in print from five different publishers (all of them well reviewed) and have sold short works to magazines like Mad, Blazing Adventures, Black Belt, Classic Pulp Fiction, Fantasy Tales, AfterburnSF, Fantasy World Geographic and others. WAKE OF THE RED MISTRESS! 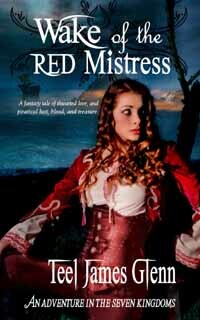 The book is a fantasy tale of thwarted love and piratical lust, blood and treasure! Sister Shinara of the Yulinites is on a ship that is attacked by Aurzia- the Red Mistress. When the pirate’s men are going to kill Shinara and the five novices in her care the sister makes a deal with the pirate queen to lead her to a ‘great treasure’ in a distance monastery. The Red Mistress leads her brigands on a cross-country trek to loot the monastery with Shinara and the sisters in tow. When these characters come together and how they interact is the tale. In the 1930s, the world stands at the brink of war, Japan is intent on its conquest of China, and criminal masterminds are using the confusion to carve out their own empires. Into this world strides Dr. Shadows. When his plane was shot down over Korea by the Japanese, Dr. Shadows was nearly killed, being rescued by Korean monks who nursed him back to health with an herbal treatment that turned his skin an ashen gray, but that also gives him a speed and agility unmatched by others. After years of healing and martial arts training, Dr. Shadows is back in New York where he's established the Shadows Foundation for Justice. Through this organization (and with the help of sidekicks Slugger Harris and monk and martial artist Dr. Hoon and perky Lee Han Ku (Hank)) he'll attempt to right wrongs, solve crimes, and defeat crimelords whose greed is spurring the world toward war. 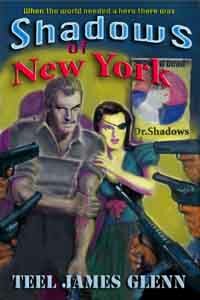 Dr. Shadows’ New York is not the glamorous stage for theater and the super-rich, but bars, Chinatown, and secret societies. Fans of pulp fiction will chuckle over the name-dropping of mostly-forgotten characters, and his careful reconstruction of an era that is now in the past and perhaps never fully existed. As for his characters, Dr. Shadows just a bit of angst, and gives us a full range of villains, from classic arch-fiends to surprisingly complex and honorable enemies.